The work for the 150-metre long bridge over the Feni river connecting India and Bangladesh will resume after September. Disclosing this to Northeast Now, Satyabrata Sahu, Director, (Administration and Finance), National Haighways and Infrastructure Development Corporation (NHIDCL) has said that as of now the work has been stopped due to rains but it will resume after September. “People from Bangladesh and Tripura are going to get benefit from this and it will be a boon to traditional businesses as well,” he said. 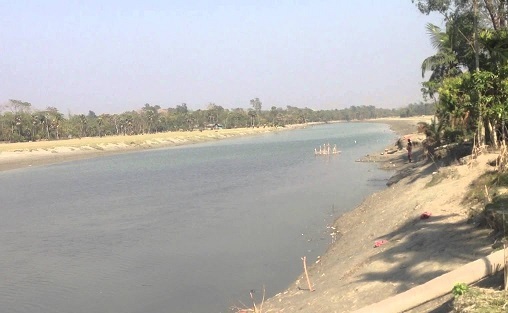 The 150-metre bridge over the Feni in Bangladesh is being built at a cost of Rs 110 crore and will connect Tripura and Bangladesh. “Trade activities will take place through this new bridge. We are building the foundation of the bridge currently,” Sahu told Northeast Now. The NHIDCL was setup especially to look after the Northeastern states and hilly region of the country. “We are looking after Northeastern states. We are also responsible for border areas of Jammu and Kashmir, Himachal Pradesh, Uttarakhand and Andaman and Nicobar Islands. We are operating in 12 States,” Sahu said. “NHIDCL has over the years, provided very good quality roads in the Northeastern states. Almost 13,000 km of road development has been entrusted to us. We have completed the construction of 700 kms of roads in the last three years,” he said. Sahu said that building border roads assumes strategic importance for the country. “India is a very key and great player in the subcontinent. We want to increase the connectivity of the border areas with the rest of the country and to other neighbouring countries as well. Building a good infrastructure is important for the defence of the country. It is also important keeping in mind the trade and commerce of the country. It also provides connectivity to people who have been living in these far-flung areas for the past so many years without any proper means of travelling,” he said.